WASHINGTON — The U.S. Navy has reportedly rejected, for the second time, the application of a humanist who is seeking to serve as a chaplain to servicemembers. 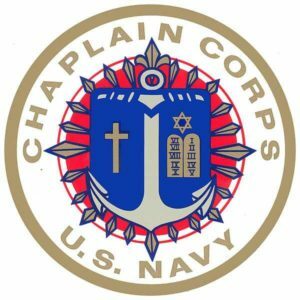 Members of Congress had written to the secretary of the Navy, noting that a chaplain is defined as a minister of faith, and the applicant simply did not meet that criteria. “The very definition of the chaplaincy was at stake here, so I am relieved to see the Navy’s response. Appointing a secular humanist or atheist chaplain would have gone against everything the chaplaincy was created to do,” Rep. Doug Lamborn, R-Co., said in a statement. As previously reported, more than 20 Senators and 40 members of the House of Representatives signed letters to Secretary Richard Spencer earlier this month, asking that he deny the application of Jason Heap, a secular humanist. Rep. Doug Lamborn, R-Colo., wrote the collective letter from the House and Sen. Roger Wicker, R-Miss., penned the joint letter from the Senate. “The chaplaincy was designed to facilitate the exercise of religious belief, not philosophical belief; this is the bright line that the Department of Defense must use in defining the boundaries of the chaplain corps,” Lamborn’s letter read. Both he and Wicker noted that the chaplaincy was created in 1775 by Gen. George Washington to provide for the spiritual needs of the troops. They said that the Navy has the authority to create additional programs for those who identify as atheist, agnostic or humanist, but the chaplaincy program isn’t the place as it is, by definition, a faith-based position. He and Lamborn contended that the concept of a humanist chaplain does not fit into the Department of Defense’s (DOD) guidelines. Chaplains are also required to obtain an ecclesiastical endorsement from a religious organization, and must adhere to that organization’s standards in order to obtain the endorsement. Heap, who holds degrees from Oxford University and Texas Christian University’s Brite Divinity School, and has experience in human resources, first applied for the chaplaincy in 2013, but he was rejected then as well. He filed suit in November 2014 after being denied the position. The case was later dismissed in federal court.